I am LOVING this dress! If it was not almost $90 I would be buying it. It was super fun! Gwynnie Bee makes dressing in bright colors so easy for the fall! 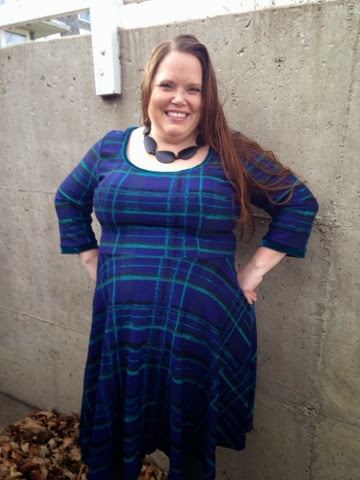 This Melissa Masse Midnight Plaid Jacquard Dress has a large neckline, so I added a chunky necklace. The skirt itself was really flow-y and would create shape and movement as I walked. It was super fun to wear, and I am going to re-closet it for sure! Perfect for the fall weather!